PTS Data Center Solutions provides a variety of consulting services geared to improving airflow within a data center, planning the feasibility of data center modifications and their resultant improvements to facility sustainability, analyzing the benefits of colocating IT infrastructure versus capital investments to build new or expand existing facilities, performing maintenance management to mitigate support infrastructure risks, as well as many others. Each of these services is aimed at improving the availability of your IT infrastructure for your Always Available Data Center. However, amongst the many PTS consulting service offerings, none is timelier or leads to significantly reduced data center operational costs more so than our Energy Usage Assessments. PTS’ Energy Efficiency Assessments leverage the first four phases of the PTS data center project process for successful planning leading to comprehensive recommendations for facility and IT infrastructure and operations to drive improved efficiency within the data center, computer room, or server room. Energy Usage Assessments focus upon all aspects of the data center, computer room, or server room to assess opportunities for improvements to Energy Efficiency. PTS begins these engagements by performing spot measurements and calculations of a site’s Power Usage Effectiveness (PUE) and Data Center Infrastructure Efficiency (DCiE) ratios. These measurements allow PTS to compare the data center against industry standards to estimate the energy efficiency of the facility. In fact, the assessment of these ratios can determine whether the potential exists for substantial cost savings derived from improved power and cooling systems design. However, beyond analysis of PUE and DCiE and performing audits of the supporting infrastructure within a facility to determine approaches to reduce energy spending, PTS leverages its unique ability assessment capability from both a facility and IT infrastructure perspective. IT enhancements which leverage various IT energy efficiency approaches such as virtualization, and, ultimately impact facility requirements. Learn more about PTS’ capabilities and approach by downloading our recent white paper, Impact of IT Upgrades on Energy Usage and Operational Cost. In it, PTS provides both a facility and IT view of possible energy efficiency improvements as well as a model of potential savings. PTS can perform these services while working in concert with various utility incentive programs. Most state’s programs are aimed at providing full or partial funding for the audit/assessment process itself. 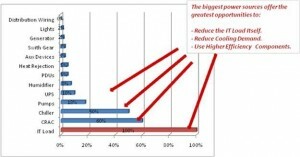 In addition, most will subsidize the capitalization of efficiency upgrades as a result of energy savings. The result is a win-win-win incentive to explore utility based incentives for IT & facility infrastructure and becoming more efficient. In fact, PTS was selected by one of NJ’s largest utility providers to serve as a primary data center efficiency engineering expert. 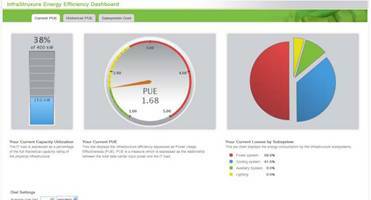 As such, PTS analyzed some of the state’s largest data centers for energy savings measures. Additionally, PTS is doing the same with New York based Con Edison through its Commercial & Industrial Energy Efficiency Program as well as other utility providers across the country.